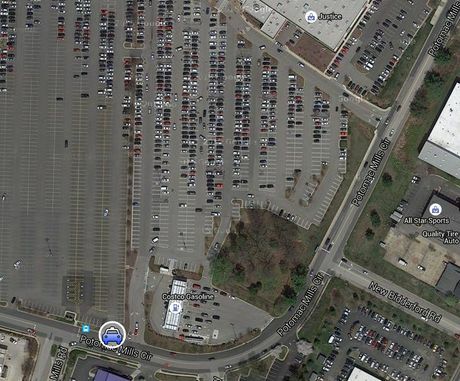 Potomac Mills mall parking has been reduced from 1000 spaces to 275 to reduce the congestion at customer parking at the Potomac Mills Mall. With limited parking space, not many people slug from this lot. 275 Parking Spaces around Potomac Mills Circle, commuters are allowed to park only in the parking spots that are marked in yellow.